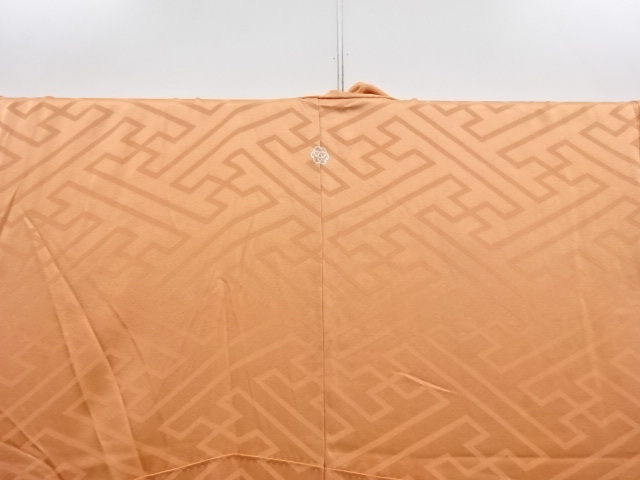 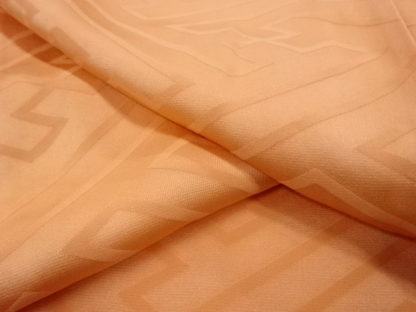 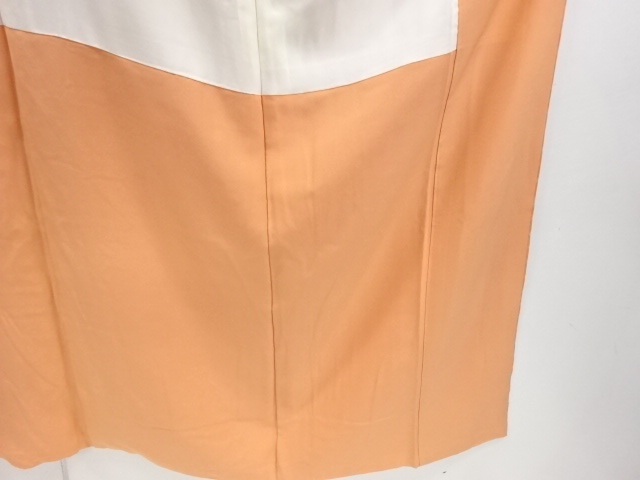 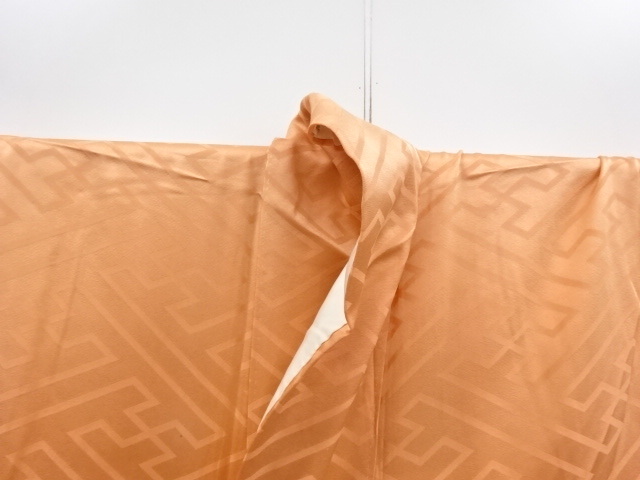 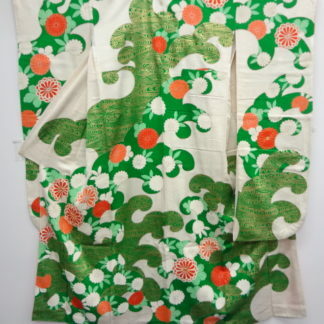 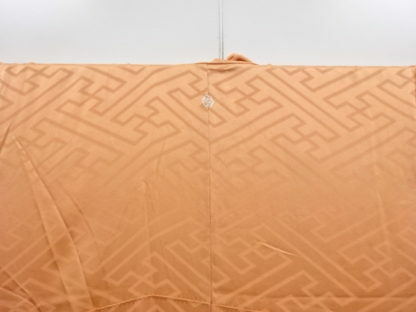 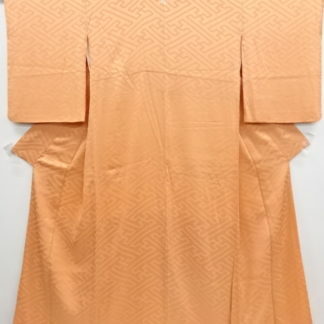 A gorgeous vintage medium orange silk iromuji kimono in excellent condition. 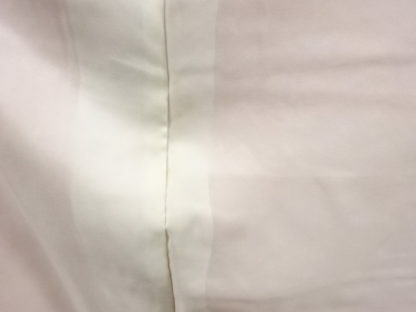 The lining is in a cream white. 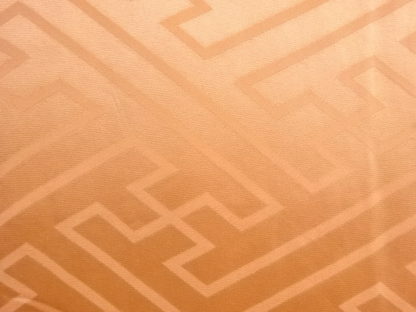 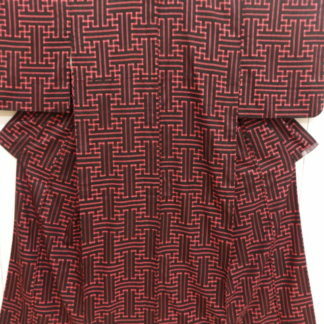 The pattern is a woven sayagata key fret. 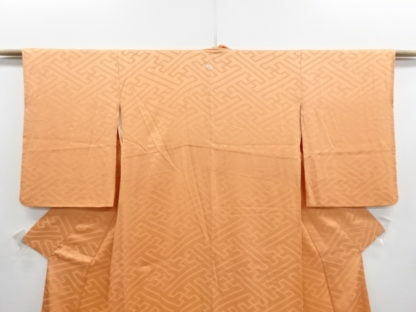 This heavy, beautiful kimono would be perfect for a woman of any age. 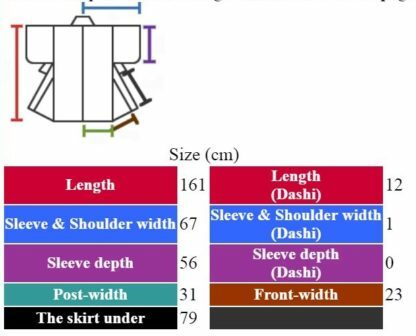 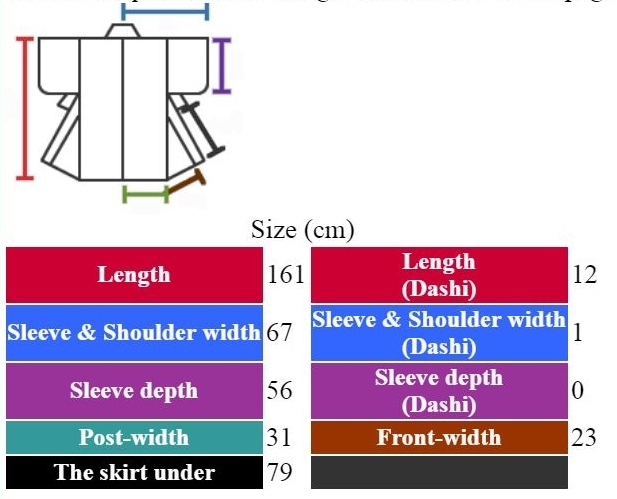 It measures a generous 161 cm long, 67 cm from middle seam to sleeve edge, and the sleeve drop is 56 cm. This is a one mon (crest) iromuji. 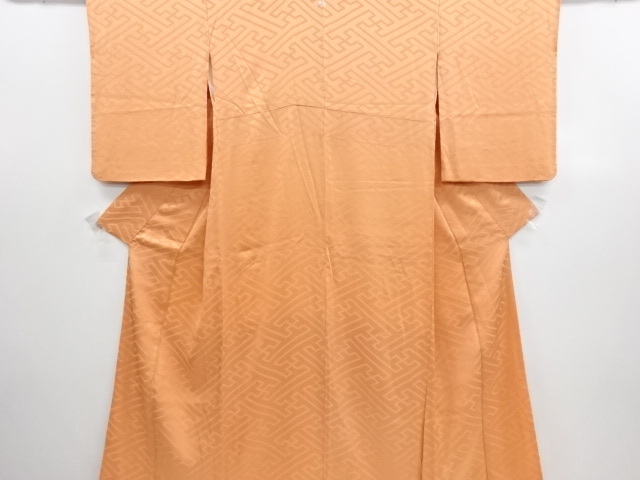 Iromuji can be worn by married and unmarried woman alike. Because of their “plainness”, they are considered more appropriate for older woman, who don’t want to be too outspoken, but rather show their elegance and sophistication. 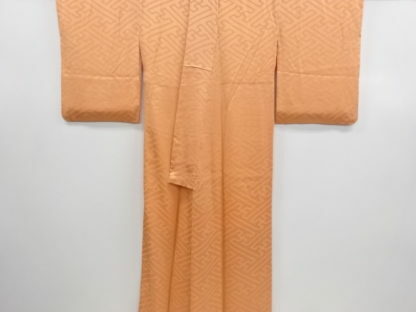 • Iromuji (色無地 ) are a type of kimono without any colored patterns. 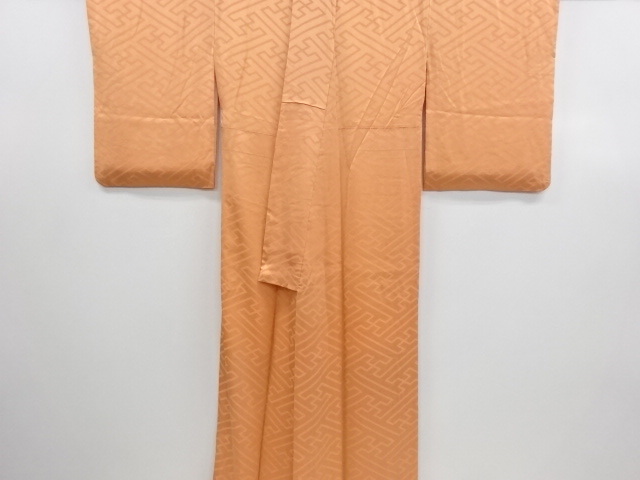 They are of one solid color, which can not be black or white, as these have their own names and unique uses. 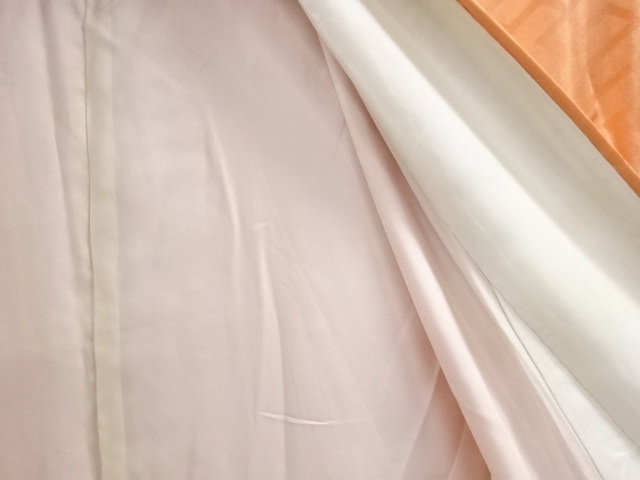 Quite literally, the translation of Iromuji is “plain color”. 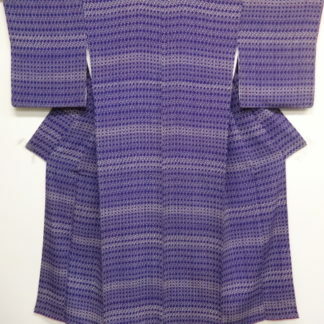 They may sport woven patterns in the color of the kimono, but never of any other colors. Those woven jacquard patterns are called rinzu. 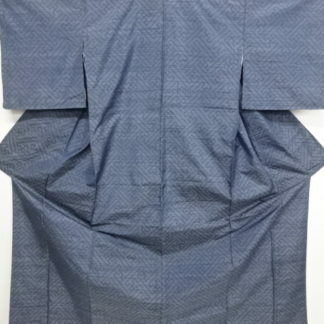 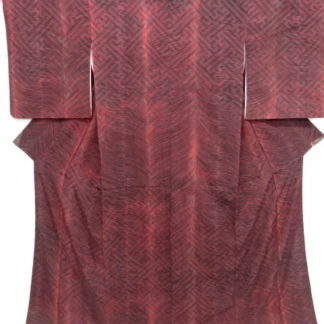 Iromuji kimono exist in any color, although most of the time subdued colors are used, which gives them a more mature and elegant vibe. Bright colors are connected to youth and more often found in kimono styles like the furisode. 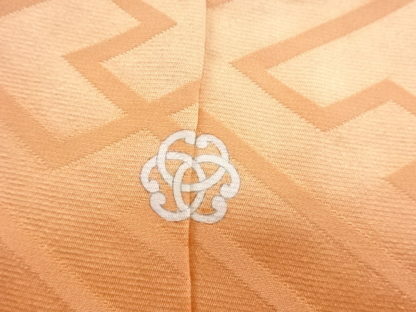 Additionally they can have 0 to 5 family crests (so called mon), depending on their formality. 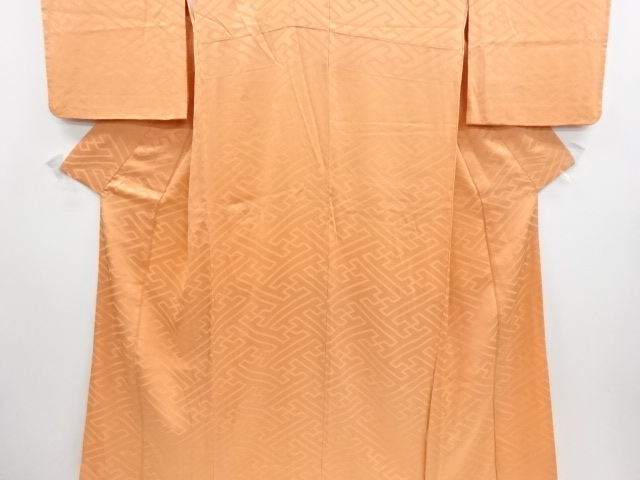 Rather casual ones would have 0, while an iromuji with 5 crests would be considered highly formal.